at Florida State University. Prior to his appointment at USC, he taught at Holmes High School in Covington, KY, Morehead State University, and Clemson University. At USC, Mr. Copenhaver was responsible for administering the total band program. He conduct- ed the University Wind Ensemble and Symphonic Band and taught undergraduate and graduate courses in wind instrument techniques. Under his guidance, the USC band program established a national reputation for excellence. The Symphonic Band performed at con- ferences for the South Carolina Music Educators Association, Music Educators National Conference, College Band Directors National Association, and American Bandmasters Association. Under Mr. Copenhaver’s leadership the USC Marching Band known simply as the Carolina Band, continued to grow and develop into one of the premier college marching bands in the country. Ex- celling not only in marching, but in musical performances as well, the band became associated with its signature introduction, “Now we present the Musical Magic of the Carolina Band.” When the university joined the Southeastern Conference, the Carolina Band became known as the “Mighty Sound of the Southeast”, continuing to entertain crowds at halftime and support Gamecock Football at home and away. The Carolina Band is also a training ground for future music educators. Scores of young musicians and educators have benefited from the experience and training provided under Mr. Copenhaver’s tutelage; and so through them his legacy has passed down to many young students in high schools and colleges across the country. and the Southern Division of the College Band Director National Association. 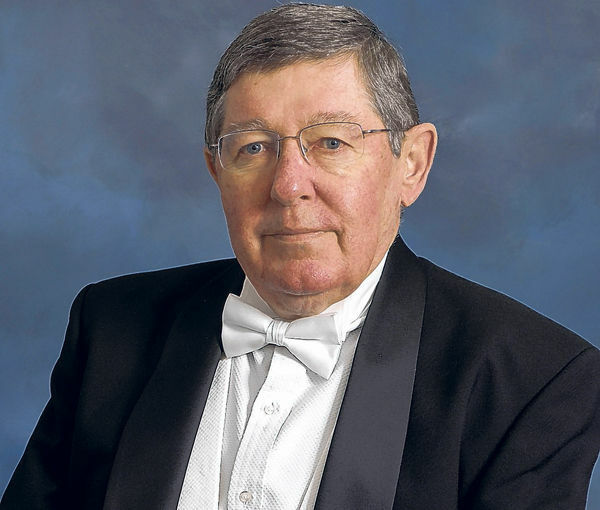 Mr. Copenhaver was the founder and co-conductor of the Palmetto Concert Band, an adult semiprofessional concert band that presented the Grand Finale Concert at the 1999 Midwest Inter- national Band and Orchestra Clinic. Mr. Copenhaver retired in the summer of 2010 and continued to be a presence at the university until his passing, where he had an office in the new “Copenhaver Band Hall. Dr. Thomas R. Thornley was born November 21, 1930 in Charleston, SC. He graduated from The High School of Charleston. Dr. Thornley graduated from the University of South Carolina with a Bachelor of Arts degree in Music. He also received his Master of Music Education degree from the University of South Carolina. Dr. Thornley was awarded his doctorate in Music Education from the University of Virginia. He was band director from 1951-1962 at Brookland Cayce High School in Lexington County School District Two. He was also Director of Bands at the Gilbert Schools in Lexington County School District One from 1962 – 1970. Tom was named Director of Bands at Campbell University from 1970-1972. Dr. Thornley also was an instructor at South Carolina State University. 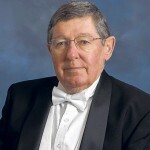 Dr. Thornley was also the Band Director and Music Department Chair at Bridgewater College until his retirement in 1997. Dr. Thornley’s bands won the SCBDA State Marching Band Championships six times 1955, 1957, 1958, 1959, 1960 and 1961. His band won the National Cherry Blossom Grand Championships in Marching and Grade Six Concert Performance three times 1959,1960,1961. His band represented South Carolina in Presidents John F. Kennedy’s inaugural parade in 1961. His band also performed at the NFL Washington Redskins Game in 1960. Dr. Thornley’s bands performed at many South Carolina Collegiate Football games including USC, Newberry, The Citadel, Wofford and the Shrine Bowl. Dr. Thornely also performed with SC All-State Band at the National Convention in Miami, FL. Dr. Thornley also has written and arranged music and drill for the South Carolina State Marching 101 and many high school bands in SC. Dr. Thornley’s professional affiliations include Music Educators National Conference, South Carolina Music Educators Association, and the South Carolina Band Directors Association. Dr. Thornley was elected vice president of SCBDA and was chairman of the committee that established the Rules and Regulations for the first Marching Band Festival/Championships.